Since that conversation took place, I’ve written several posts about the topic. I thought it might be useful to bring together several related resources. Data-Driven…Off a Cliff is the title of an excellent post by Robert Pondiscio. An article in Educational Leadership is a year-old, but it’s new to me and certainly worth sharing. It’s called The New Stupid, and has the subtitle “Educators have made great strides in using data. But danger lies ahead for those who misunderstand what data can and can’t do.” It’s written by Frederick M. Hess. First, educators should be wary of allowing data or research to substitute for good judgment. When presented with persuasive findings or promising new programs, it is still vital to ask the simple questions: What are the presumed benefits of adopting this program or reform? What are the costs? How confident are we that the promised results are replicable? What contextual factors might complicate projections? Data-driven decision making does not simply require good data; it also requires good decisions. He describes a class of antipsychotic drugs, whose effectiveness was demonstrated by several large clinical trials. But in a subsequent batch of studies, the therapeutic power of the drugs appeared to wane precipitously. The world is fluid. Bias and randomness can creep in from all directions. For example, between 1966 and 1995 there were 47 acupuncture studies conducted in Japan, Taiwan and China, and they all found it to be an effective therapy. There were 94 studies in the U.S., Sweden and Britain, and only 56 percent showed benefits. The lesson is not to throw out studies, but to never underestimate the complexity of the world around. Talking To Students About Their Reading (& Their Data) is a post I’ve written. In a Data-Heavy Society, Being Defined by the Numbers is by Alina Tugend at The New York Times. Data-Driven Instruction and the Practice of Teaching is by Larry Cuban. The Obituaries for Data-Driven ‘Reform’ Are Being Written is by John Thompson. California Governor Puts the Testing Juggernaut On Ice is by Anthony Cody at Education Week. Making the wrong “Data-Driven Decisions” is by Carl Anderson (thanks to Dean Shareski for the tip). Data-Driven To Distraction appeared on Larry Cuban’s blog. 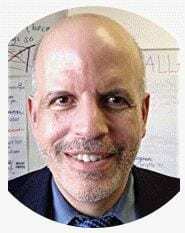 Larry Cuban has written another interesting post titled Jazz, Basketball, and Teacher Decision-making. John Thompson relates it to school data at Thompson: Duncan Can Shoot — But Can He Rebound? 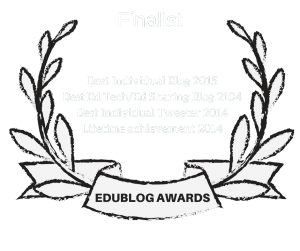 Policy by Algorithm is a nice post over at Ed Week. Professional Judgment: Beyond Data Worship is by Justin Baeder at Education Week. Bias toward Numbers in Judging Teaching is by Larry Cuban. The False Allure Of Statistics is by John Thompson. ‘Moneyball’ and making schools better is by John Thompson. “Why Do Good Policy Makers Use Bad Indicators?” is by Larry Cuban. New Hope for the Obama/Gates School of Reform is by John Thompson. This is the last paragraph of Robert Krulwich’s article at NPR, titled Mirror, Mirror On The Wall, Does The Data Tell It All? In it, he compares authors of books, one by Stephen Wolfram, creator of a the Wolfram search engine, and Bill Bryson, author of a biographical account of growing up in Iowa. The column, though not specifically about schools, hits a “bulls-eye” on our current data-driven madness. What Does “Stop & Frisk” Have To Do With What’s Happening With Our Schools? What Does The NYPD Have In Common With Many Data-Driven Schools? Tired of the Tyranny of Data is by Dave Orphal. Big Data Doesn’t Work if You Ignore the Small Things that Matter is from The Harvard Business Review. Test Scores Often Misused In Policy Decisions is from The Huffington Post. The Data-Driven Education Movement is from The Shanker Blog. Invisible Data is from Stories From School. Don’t Let Data Drive Your Dialogue is from The Canadian Education Association. On the Uses and Meaning of Data is by David B. Cohen. Friday Thoughts on Data, Assessment & Informed Decision Making in Schools is from School Finance 101. Here’s a Part One and Part Two series of posts on the use of data in education, and they’re both from Larry Cuban’s blog. Data: No deus ex machina is by Frederick M. Hess & Jal Mehta. Bill Gates is naive, data is not objective is by Cathy O’Neil and is really good. Bill Gates and the Cult of Measurement is by Anthony Cody. Beware the Big Errors of ‘Big Data’ is from Wired. Data-Informed Versus Data-Driven PLC Teams is from All Things PLC. The Problem with Our Data Obsession is from MIT. Data Without Context Tells a Misleading Story is from The New York Times. “Big (Dumb) Data” is by John Thompson. Data are no good without theory is from The Washington Post. The Perils of Economic Thinking about Human Behavior is from School Finance 101. The Great Lakes Center has released an excellent report on Data-driven Improvement and Accountability. The Washington Post published an excerpt, Six principles for using data to hold people accountable. The Tyranny of the Datum is by John Kuhn. Garbage In, Garbage Out: Or, How to Lie with Bad Data is from Medium. How ‘data walls’ in classrooms can humiliate young kids is by Valerie Strauss. Select Your Conclusions, Apply Data is from The Shanker Blog. How ‘platooning’ and data walls are changing elementary school is from The Washington Post. 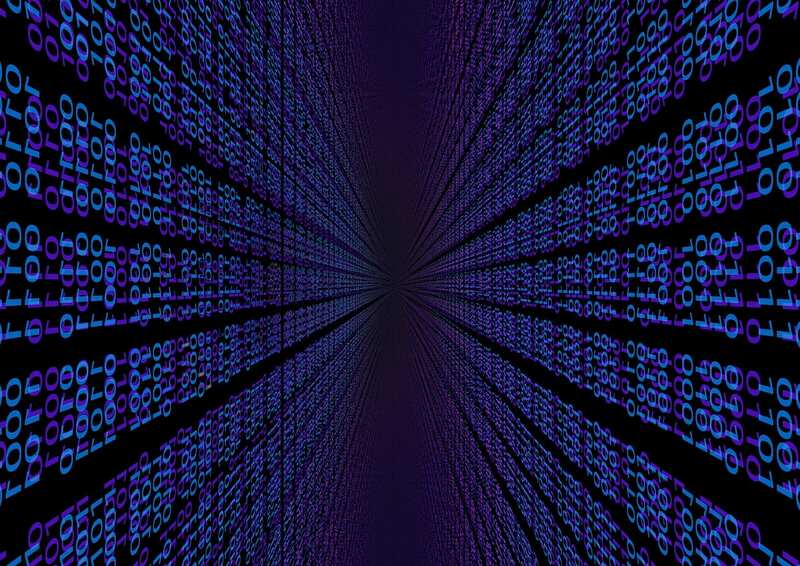 Big data: are we making a big mistake? is from The Financial Times. Ainge: Analytics Sometimes Leads To Shortcuts is from RealGM Basketball. Be evidence-informed, not evidence-based. Evidence + judgment (practical wisdom) matter not either/or #TLACASS @CarolCampbell4 @philmcrae. Misusing Test Data is from Renee Moore’s blog. ‘There’s Nothing More Innovative Than Care’ is the title of one of my related columns at Education Week Teacher. Shoot Your Data: 5 Kinds of Photos That Reveal More Than Numbers is by Angela Stockman. This is a very practical post that has policy implications. School Districts Embrace Business Model of Data Collection is from The New York Times. The Illusion of Knowing is by David Didau. Using Data In Education: The Good, the Bad and the Numbers with Myron Dueck, Dr. Jenni Donohoo, and Nancy Fichtman Dana is one of my BAM! radio shows. How To Use Data – & How Not To Use It – In Schools is the headline of one of my columns in Education Week Teacher. 5 Doubts About Data-Driven Schools is from NPR. Polls convinced me Hillary Clinton wouldn’t lose. As an education researcher, the result was a wake-up call is from Chalkbeat. Eight Daily Classroom Data Sources to Empower Student-Directed Learning is by Kathy Dyer. How to Use Metrics Instead of Being Used by Them is from Bloomberg. Help Your Team Understand What Data Is and Isn’t Good For is from The Harvard Business Review. Data Was Supposed to Fix the U.S. Education System. Here’s Why It Hasn’t. is from The Harvard Business Review. Well said. Being data informed is certainly driving a great deal of change within education, balanced with other important information about students. There is a lot of great work being done with data analysis and data linkage tools for the future of education with P20 and SLDS initiatives. Linking K-12 data with college and career data will certainly have a positive, significant impact on student achievement. A single comprehensive and timely education data standard that ensures usability is key to the success of these programs. States need to take advantage of the data analysis that is being made available.